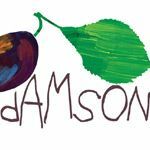 Do you work at Damson Cafe? A large wooden bench and three tables with two chairs on each table. 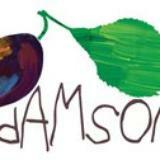 What did you think of Damson Cafe?